Thu., March 16, 2017, 9:03 a.m.
WASHINGTON – The Department of Veterans Affairs, the second-largest federal agency with 313,000 civilian employees and a far-flung hospital system, is one of the few corners of the government that would see its budget grow in the next fiscal year – by 6 percent. 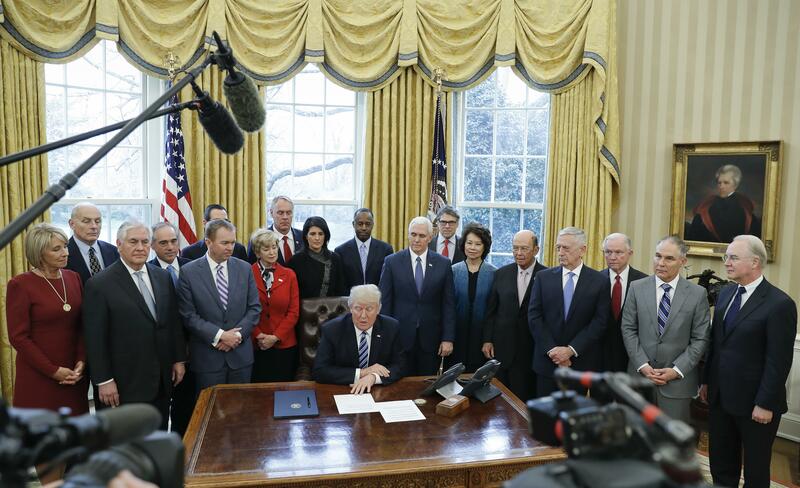 During his campaign, President Trump promised dramatic reforms at an agency he said was filled with a culture of “fraud, coverups and wrongdoing” after a 2014 scandal over coverups of patient wait times for medical care. His first spending plan would boost VA’s budget by $4.4 billion, to $78.9 billion, with much of the new money dedicated “to improve patient access and timeliness of medical care” for the more than 9 million veterans who use the system. VA has more than 40,000 vacant health-care jobs that are exempt from the president’s federal hiring freeze, and hiring doctors and nurses is a top priority for Secretary David Shulkin. The Trump administration also wants to make it easier for veterans who live in rural areas not served by VA, who need specialty care or who simply want to go outside the system to see private doctors. The spending plan would expand an Obama administration program that Congress approved after the wait-times scandal to allow veterans to see private doctors, with VA requesting an additional $3.5 billion from Congress to continue the “Veterans Choice” option. Other new spending would cover programs that keep veterans out of homeless shelters and help them transition from military to civilian life. The budget offers few specifics on how the agency would spend the extra money. But some of it would continue investments underway to modernize VA’s antiquated benefit claims system, which has accumulated a large backlog in appeals. Some claims still are handled on paper. Published: March 16, 2017, 9:03 a.m.